Among the many uses of capital one overlooked use is its ability to send signals to regulators, customers and partners. Models and their usage give an indication of the sophistication and maturity of an organization. Using economic capital models three decades ago was a cutting edge event but received limited weight from rating agencies. Today regulators as well as rating agencies assess organizational depth and robustness by evaluating how capital models are used by the board or within the organization. A financial institution’s reliance on mature capital modeling can help boards make informed capital allocation decisions. Used judiciously it allows a bank or an insurance company to price risk properly and compensate risk taking behavior across products and business lines. Used incorrectly it leads towards an aggressive search for regulatory arbitrage – pushing and testing efficiency frontiers within regulatory capital models. Citibank, Chase Manhattan, Goldman and BacOne led the world for decades when it came to sophistication of internal capital allocation models and their usage at the Board level. BancOne was the first of many to run into trouble in the 90’s with usage and direction its internal models took managing interest rate mismatch risk. Chase did cutting edge stuff with credit risk while Goldman raised the bar with allocation models on its proprietary trading desk. Similarly Citibank’s investment in Operational Risk Capital management started much before BIS started reviewing the Advance Measurement Approach for Operational Risk. Regulatory frameworks apply a simpler approach to assessing capital across financial institutions. Between Timbuktu and New York there are a number of location sensitive changes made to the framework by local regulators but the structure remains the same. Within a given region all banks are measured by the same yard stick. A yard stick that gives more weight to uniformity and standardization than measures of risk that retain stability under extreme conditions. There is a logical reason for that. As a regulator you are just as responsible for normal conditions as you are for extreme scenarios. As a regulator you are responsible for implementation across degrees of sophistication that exist in the banking industry. From small main street banks to Wall street firms. Finally as a regulator, while you shouldn’t, political correctness and ground realities dictate that some modeling parameters be set on a discretionary basis by the bank’s own reporting team. Since extreme scenarios occur infrequently and we suffer from collective short memory as a group overtime our reporting focus shifts to managing normal scenarios. We add limited sophistication keeping in view the industry’s ability to implement and keep up with modeling expertise. The result is a sprinkling of extreme conditions rather than the ability to survive a truly extreme environment. From an industry point of view regulatory reporting is a burden and more often than not leads to public disclosures. Would you really want to share your internal sauce and have it misunderstood and shared with your competition? Would you rather spend time focusing on and running your business or educating your regulator so that next year they can come back with more probing and awkward questions? From an industry point of view there has always been an incentive to minimize the burden and sophistication of regulation. If three words could describe the official industry stance, they would be “Less is more”. One point of view is that uniformity across the globe within banking regulation kept the world safe from a reoccurrence of the great depression for shade under 80 years. A counterpoint is the 2008-2010 financial crisis and the resultant worldwide recession blamed on the inadequacy of the same framework. Here is the challenge. As shareholders, partners and customers some of us are not that interested in regulatory capital. Regulatory frameworks are limited by their desire to include the lowest common denominator. By appearing to be reasonable and fair they give up on their ability to deal with conditions that by definition are politically incorrect. They are inflexible, out of date and overly complicated. As a board member of a financial institution while I am accountable for my banking licenses, my true obligation lies with efficient usage of capital over the long term. That mindset generally doesn’t reconcile well within regulatory frameworks. Regulatory capital is like the speed limit that most drivers will ignore unless they are approaching a radar gun (your quarterly or monthly regulatory reporting cycle). Economic capital is the speed at which you actually drive based on your assessment of road conditions. Sometimes above, sometimes below the posted limit. However what is best for the driver may not always be best for people driving or walking around him. The right capital framework find the line that lies between institutional freedom, flexibility and collective good. While Internal capital models are sometimes an extension of regulatory models used with different parameters, there are variations that take a completely different approach from existing bank regulation. Capital models derived from regulatory approaches suffer from the issues that cannot be fixed by a simple parameter extension. After unsuccessfully experimenting with multiple variations of capital models that change regulatory parameters to estimate economic capital we came up with a suggested criteria for selecting such a model. Accounting Reconciliation. 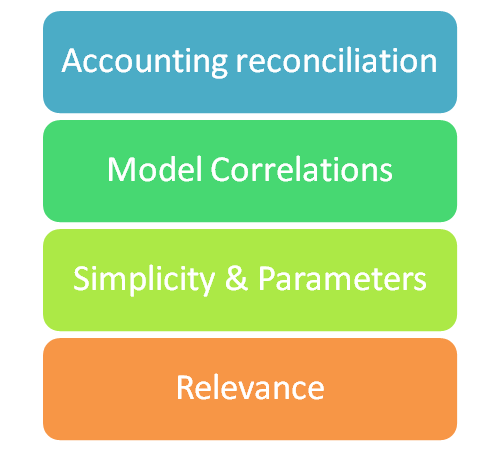 An economic capital model must reconcile with accounting data. An ideal economic capital model should derive results from accounting data. Model correlation. The best correlation models are implicit rather than explicit. The best possible way of modeling market, credit, operational, interest rate mismatch, legal and reputation risk is identifying a series that represents these risk in aggregate rather than rebuild a series from individual streams. Simplicity and parameters. 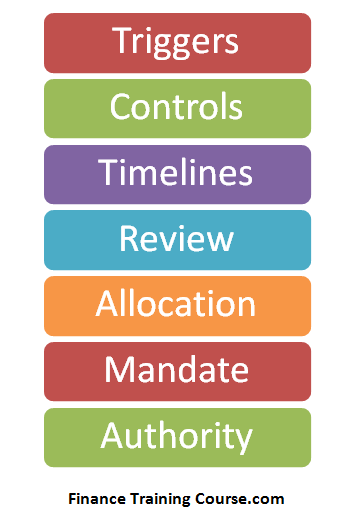 A model must be explainable to senior management and board with as few model parameters as possible. Relevance. The model output must lead to relevant and actionable intelligence rather than esoteric results that cannot be put into practice.